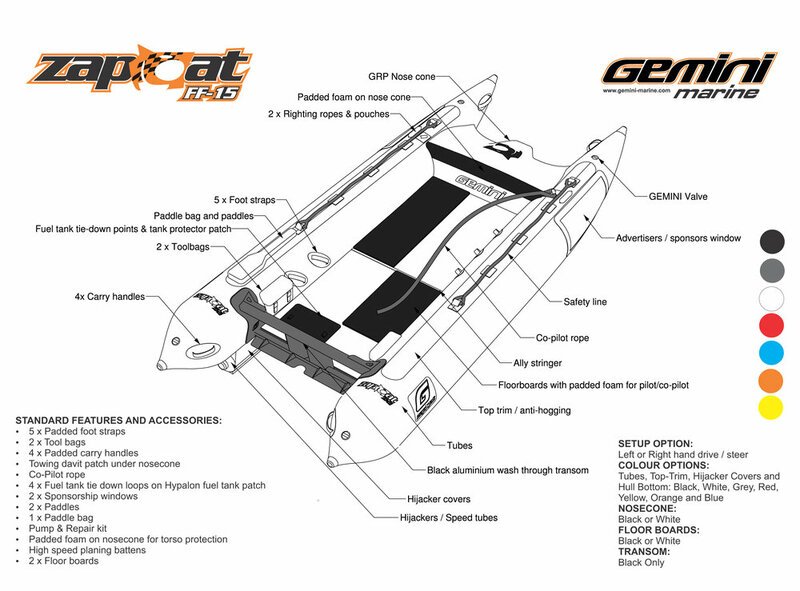 Gemini F1 Zapcat - Adrenaline on the water! BRAND NEW 2019 Model F1 Gemini Zapcats (Thundercat's) for sale. They are the fastest, most robust and reliable boats on the market leaving Aqarius, Neptune and Ceaser in there wash. There is a reason these are Australia’s leading and highest selling brand. Current stock includes the following colours. Get in fast as stock is moving fast! Whether you plan on racing the boat or simply having it as summer fun, this is the BEST boat around. The Gemini F1 is built to the highest standards ensuring a very durable, long lasting product. Avoid 2nd hand Thundercats and all Chinese no name makes. Pickup address is Sydney, however we can pack onto a pallet for interstate delivery. Client to pay delivery costs. After the succesful Z10, the EVO-1, the FF15 Zapcats, Gemini Marine now launched their latest model, the Gemini Zapcat F1. 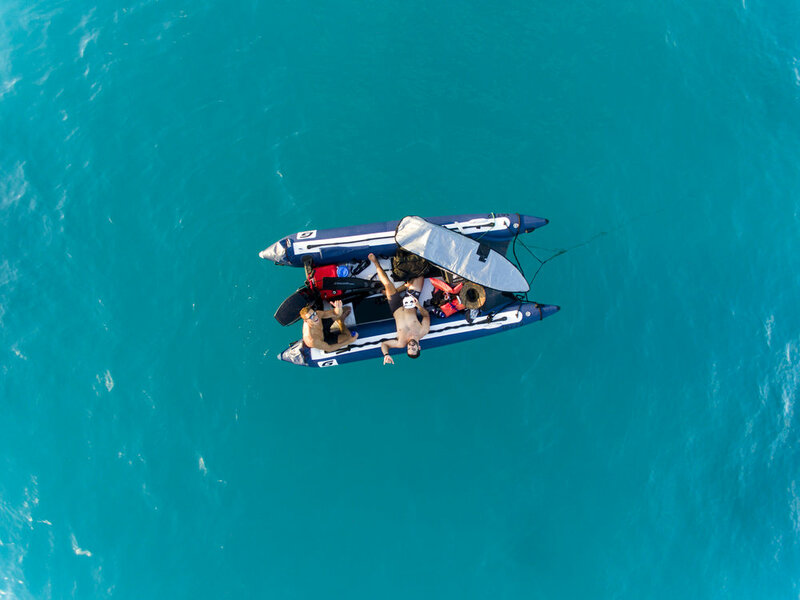 Flat water or rough water conditions, the Gemini Marine Zapcat F1 inflatable racing boat once again proved its speed & handling capabilities in these harsh conditions.